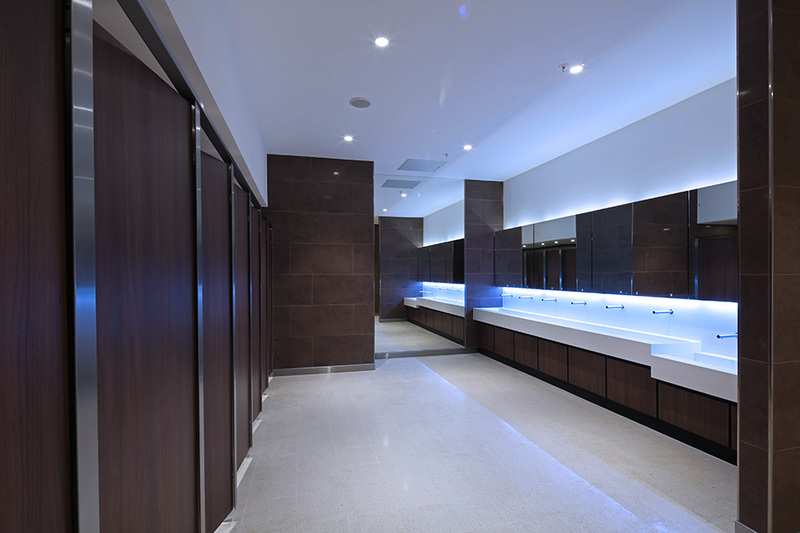 We’ve upgraded the washrooms at a busy shopping centre in Northampton, delivering a modern washroom design to match the centre’s new contemporary interior. The Weston Favell shopping centre, which is home to one of the largest Tesco stores in the country as well as more than 70 shops and restaurants, attracts thousands of visitors each week. Originally built in the 1970s, the centre was in need of a full refurbishment and HFM Architects took on the project, giving the centre a vibrant new look with new brand style and signage throughout. 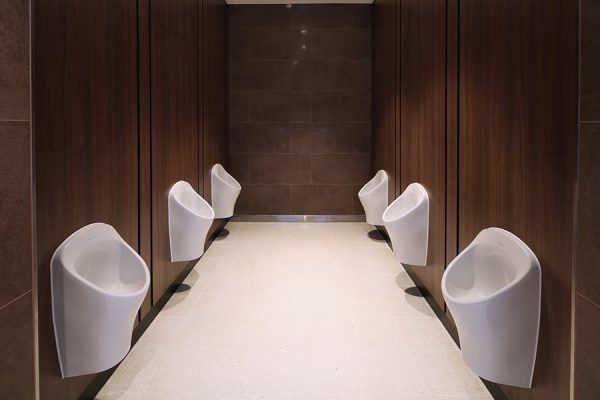 We worked closely with both HFM Architects and main contractor Base Build Services, to deliver a modern washroom area, including disabled toilets and baby change facilities, all designed to match the new bright and contemporary centre. Key to the success of the washroom design was the installation of new Alavo integrated consumable units from Dolphin Dispensers which features subtle colour changing LEDs as well as concealed soap and hand dryers. 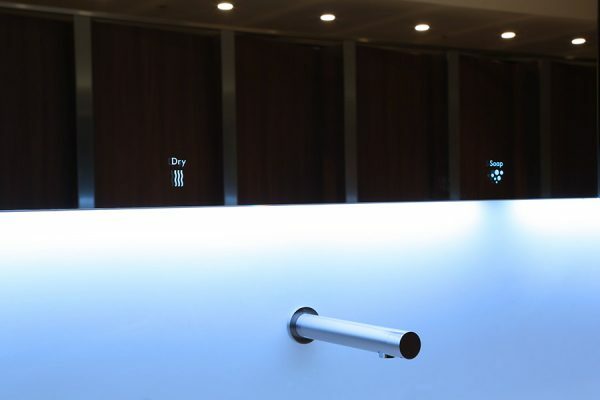 Combined with bespoke sloping Corian troughs, the Alavo system adds to the high specification finish yet will withstand the rigours of a high traffic environment and significantly reduces the client’s cleaning burden, making it ideal for a busy shopping centre. The washrooms also feature our Senza cubicles, which were manufactured in solid grade laminate (SGL) and finished with an attractive walnut veneer to complement the contemporary style. 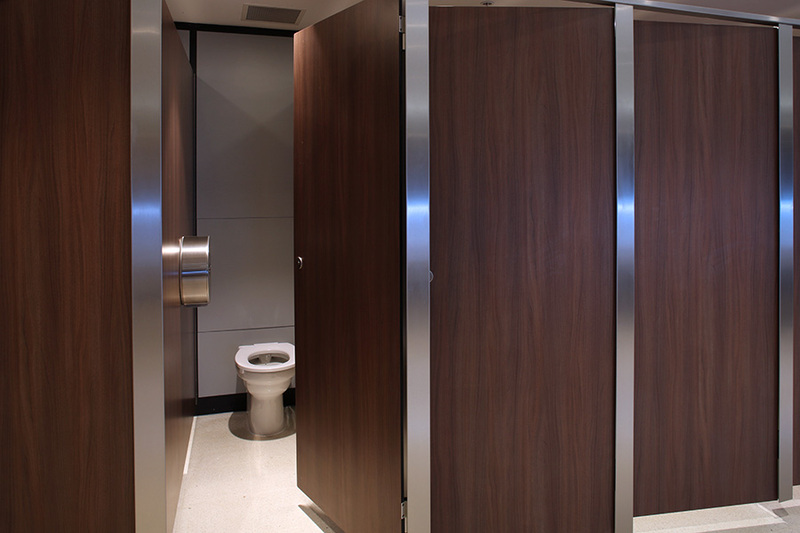 Designed to create an attractive floating appearance, the Senza cubicle’s stainless steel faceplate complements the linear profiles while the SGL is extra durable, making it the ideal choice for a busy shopping centre environment. Our Concerto integrated duct panel system, which was also manufactured in SGL with matching walnut veneer finish to complement the cubicles, was installed underneath the vanities and behind the WCs and urinals. 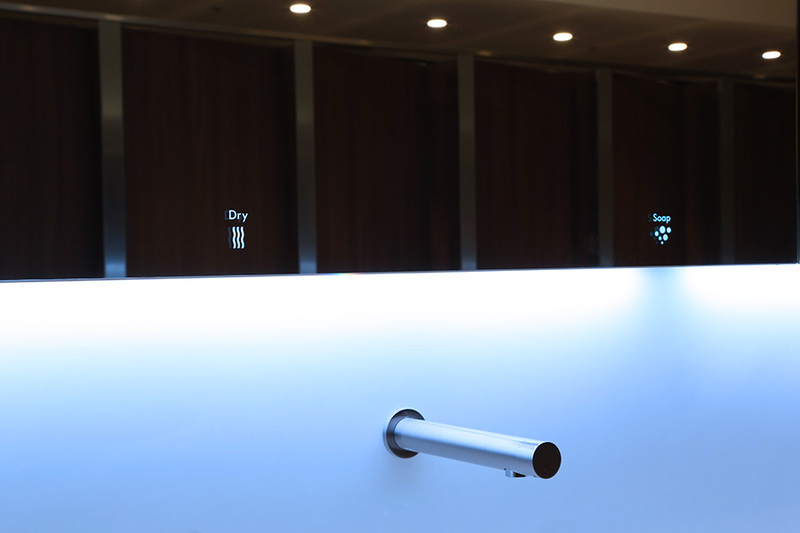 The duct panel system is designed to allow ease of access for future maintenance and repair and is also easy to clean.